Meet Our Leaders | Velocis Systems Private Limited. As the co-founder and Managing Director of Velocis Systems, Atul Bansal leads the effort to scale Velocis into the Top IT Solutions and Services provider in the Indian Mid-Market segment. He is passionate about Velocis Systems becoming a sought after company to work for. 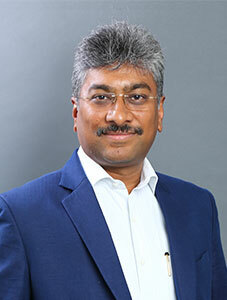 Atul has been MD of Velocis since 2006. 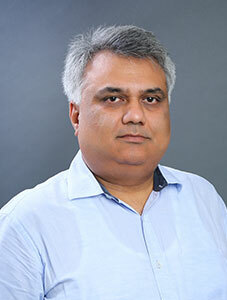 Atul has more than 27 years of experience in IT Services sector. His commitment is highly personified in consistently enhancing customer and employee satisfaction goals at Velocis. 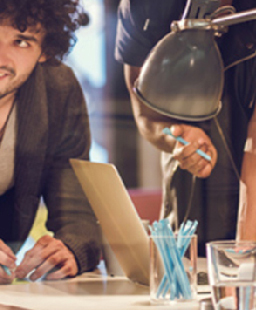 Through his experience in a variety of operating roles, he has built a reputation in the IT industry for his ability to build and grow new business offerings and nurture long-term relationships. Under his leadership Velocis is transitioning into a business solution provider from being a technology solution provider. 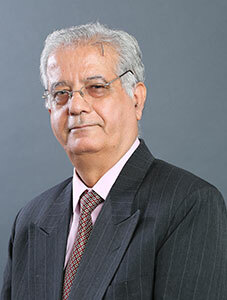 R. K. Malhotra is one of the co-founder and director of Velocis Systems. In his current role he looks after HR function of the organization and is committed to make Velocis as one of the Top 10 Employers in its business category. His endeavor is to make Velocis a sought after organization and an excellent place to work where talent, innovation, team spirit, and leadership skills are nurtured to make a difference in the life and career of people. RKM has more than 46 years of experience in industry of which 21 years in senior positions in highly reputed Indian corporates. He has more than 26 years of experience as a business entrepreneur covering functions like HR, Finance, Distribution, and System integration. RKM is widely respected in the industry circle and was chairman of progressive channel association of information technology (PCAIT), one of the top associations in IT Sector for promotion of distribution and system integration in IT Sector. 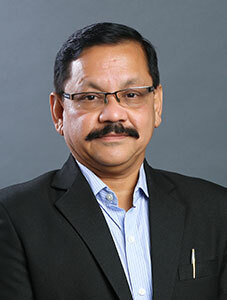 As a Director at Velocis Systems, Ashok Gupta leads the e-Governance initiative of Velocis. As India is moving towards a strong Digital Economy, the Government of India has launched several key Digital India and e-Governance initiatives. Ashok with his vast knowledge and expertise in IT domain has established Velocis strongly in this domain. Prior to migrating to India Ashok Gupta ran a consultancy firm in United Kingdom providing services and solutions to Insurance, Banking and other large organisations. 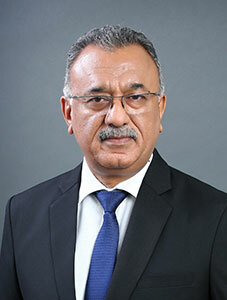 Ashok has more than 30 years’ experience in IT Services sector. As a founding member, he has headed a variety of operating roles in the organization. He is a key stakeholder in taking Velocis to a business solution provider from being a technology solution provider. 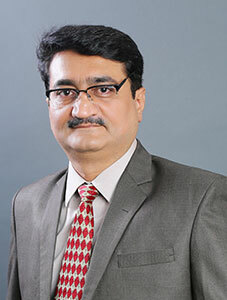 Jignesh Rachh, a Director with Velocis Systems has over 18 years of association with Velocis. He has been responsible for leading the organizations technology transformations. Jignesh started his career with Velocis as a support engineer and soon he developed keen interest into the business aspect and has held several key responsible roles at Velocis. Sanjeev has been associated with Velocis Systems for more than 10 years, and he is enriched with two and a half decades of experience. As a Director in Velocis he is currently spearheading the Business Development for Digital Transformation in Manufacturing vertical, and Industry 4.0 oriented solutions. Over his extensive IT career Sanjeev has been involved in Conceptualizing, Selling and Delivery of IT solutions covering varied components of the IT services spectrum. Sanjeev is also known to actively participate in various industry forums, and has contributed to various IT related seminars. Sanjeev believes that the main strength of any business leader stems from the confidence of his team, and he takes pride in having built cohesive teams. 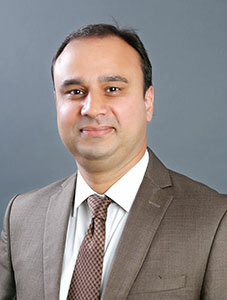 As the Chief Financial Officer of Velocis Systems, Sandeep Agrawal leads the Finance and Commercial functions. He is responsible for driving the finance transformation at Velocis, utilizing his financial acumen and leadership skills. Before joining Velocis in 2014, he had been working with Pyramid Consulting as Financial Controller. Earlier in his career, he has held finance leadership roles with companies like HCL, CoWare, Escorts etc. 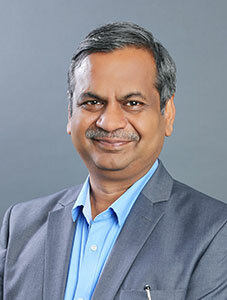 Hemant is Sr. Vice President Technology at Velocis Systems, he is equipped with more than 30 years of experience into delivering technology solutions. Hemant has extensive experience with system architecture, design & development of embedded systems, systems which require deep understanding of critical business drivers in multiple markets and industries. He has been highly successful in seizing control of critical problem areas, and delivering on customer commitments. He leads Pan India presales team, identification of emerging technologies and communicating technology trends affecting clients’ businesses. 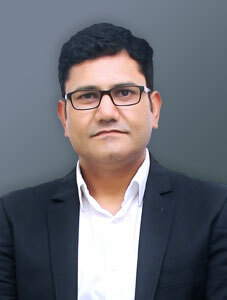 Divakar Chaubey joined Velocis Systems in 1999. He is responsible for establishing Velocis’ strong presence in Southern Part of India, which he heads. A certified Business Architect with high technical business acumen, Divakar leads technology incubation drive at Velocis and specializes in Solutioning across various technologies and products. His previous responsibilities in Velocis included key roles as Head of Training and Head of Operations (North ). As Head of Training Division, he designed and conducted trainings for Networking Core technologies, IP Telephony, MPLS, BGP, QoS etc. Suumit is Sr. Vice President at Velocis Systems and he is based out of company’s Delhi/NCR corporate office. 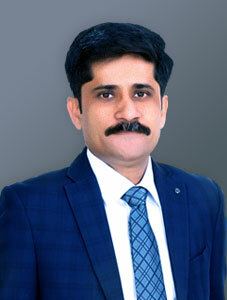 Currently he is leading Cisco Commercial Business in North India. Suumit has been a part of the organisation since its inception and has played a key role in developing Cisco Business for the company. He has been associated with Velocis for the past 21 years, and he continuously strives to position Velocis as a complete IT solution provider in the market. He efficiently manages both OEM and customer relationship for the company, while being able to retain customers and keep them happy for years by ensuring that they get more than desired support. His expertise include, putting together a superior blend of, products and technologies, from various OEMs to derive the best technology solution, suiting the changing business needs of the customer. As a Sr. Vice President at Velocis, Rajnish’s spearheads Velocis’ PAN India Business for IT Infrastructure Services and Managed Services. In his 9 years’ association, Rajnish has been a part of the IT Infrastructure Operations and Delivery, Management Committee and Leadership Team for Velocis. Rajnish has a rich cross functional experience of 20+ years in IT Managed Services, IT Infrastructure Management, and Project Management. Currently he carries the goal of redefining Velocis’ IT Infrastructure and Managed Services offerings to match the changing needs of customers. Deepesh is Sr. Vice President at Velocis Systems. He currently leads Knowledge Management along with Product & Marketing for Velocis. In his ongoing tenure with Velocis, Deepesh has steered Software Services Business & Delivery, Corporate Communication and is key member of the Velocis Management Committee. In his 9-year association with Velocis, Deepesh has driven several key initiatives for the organization. In his current role, with an objective of leveraging both IT infrastructure to software applications, Deepesh’s focus is to create comprehensive, pre-integrated, pre-modeled market ready IT solutions, offering cost-effective and higher value proposition to the end user. 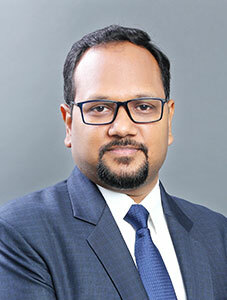 Operating out of corporate office in Noida Anurag heads the Government Sales for Velocis Systems. He handles the business development related to various Public Sector Units, Ministries & DGS&D. 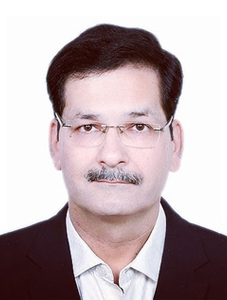 Anurag comes with a rich experience of over 30 years, he has worked for companies like Modi Xerox, PCL, Modi Olivetti, DSS Mobile Communications Ltd. besides others and he has expertise in handling various Government agencies. In his current role, he is instrumental in keeping Velocis’ business interest focused in this segment, and he is also involved in big ticket projects in niche areas like Knowledge Management. He is Velocis’ key relationship stakeholder with IBM and has been able to take the business relationship to a different level.